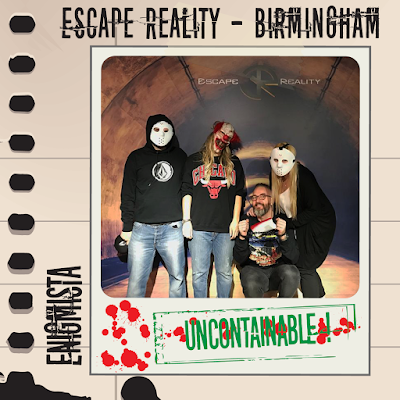 We arrived at the 11th global location of Escape Reality in Birmingham to play their serial-killer game Enigmista. Despite the generic plot and commonplace theming, our expectations here were high. 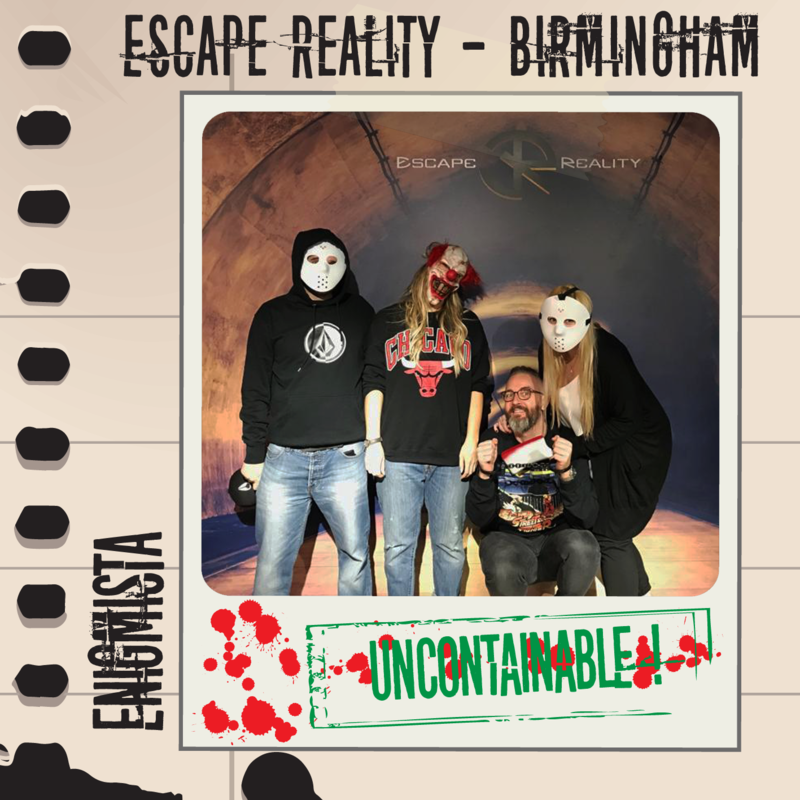 Not only due to the impressive, sizeable space in which Escape Reality Birmingham is housed but also for the franchises' apparent success across the globe. The waiting area was huge, comfortably accommodating the lucrative corporate market alongside smaller casual groups like ours. Rumour had spread a killer forces his prisoners to perform ghastly tests to see how far they can push themselves in order to escape. We’ve awoken to discover that we had been locked inside a room of complete darkness with no recollection of how we found ourselves there. Our captor had devised a series of games to test how much strength we have in order to save our own lives…we had just 60 minutes to escape. After being retold this plot by our games master, we were handed an electronic tablet before entering the room. This doubled up as both our countdown timer and our clue system. We’ve already cited our reasons for loathing this set-up in our review of the same companies' Alcatraz room. And regrettably our time in Enigmista only served to validated these feelings further. Our GM for the sixty minutes was pleasant enough but we found her to lack the same enthusiasm as games masters at independent enterprises, instead appearing nonchalantly uninvested in our entire experience. The decor inside the room was acceptable. It served its purpose but lacked the wow-factor we’d seen in similarly themed rooms elsewhere. As the serial killer scenario is somewhat over-saturated in the escape room genre, it may have been a wise decision to have included some big stand-out moments in order to set it apart from its competitors. The game's start was by far it's strongest point (although unoriginal, as most elements had been lifted directly from the first movie in a famous horror franchise), but following completion of the opening section, the game designers seemingly ran out of ideas and simply padded out the remaining main bulk of experience with generic puzzles that were robust and worked perfectly well, but much like Enigmista's decoration, we found nothing in the space that we hadn't seen before. In addition to this, some of the props were sub-standard, similar to what you might find upon the shelves of a discount retailer around Halloween festivities. An economical decision no doubt, given that this room is available at many of the companies various locations, but one that made the space feel rather twee over the sinister hour the rooms promotional video alluded to. Overall, we felt the space was missing any nerve-jangling, ominous moments that could have hauled it away from the generic, forgettable room it unfortunately was. 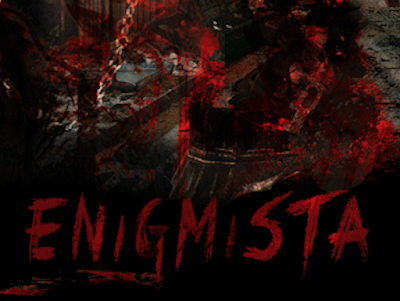 We left Enigmista feeling apathetic about it and that is never a good sign. There was one horrifying addition to be found within the walls of Escape Reality though - Its irksome tablet based clue system, making it the only true escape room killer to be found anywhere at this venue.